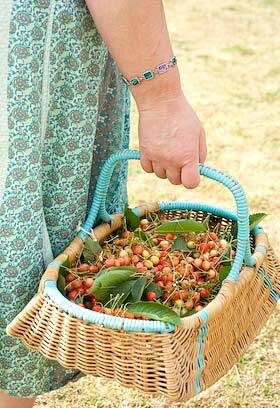 A few years ago after eating a bag of cherries my husband decided on the spur of the moment to plant a few pips. Our trees are now 5 years old and are still in pots ( we only have a yard ) This year we have had a couple of dozen cherries from them … the birds did nab a few , but we ate the rest and they were gorgeous . 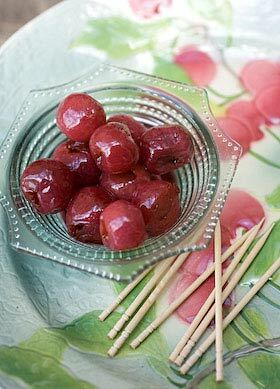 I like the Chinese Five Spice idea and I especially like the idea of not having to pit the cherries. I just wonder if not pitting changes the taste. I suppose I can try and see what happens. 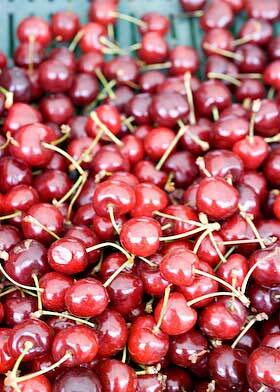 I’ve made another batch using sour cherries that were too small to pit. I imagine that the stones could give a slightly almond flavour but only time will tell. 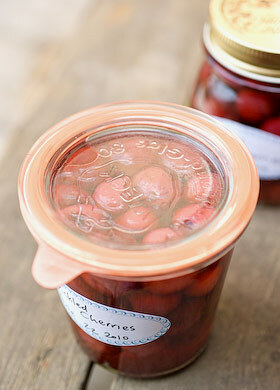 I would advise to prick unpitted cherries with a tooth pick before packing the jars so that they can absorb the vinegar syrup. My cherries seem to have shrunk after bottling but I’m expecting them to plump out again, as I’ve read somewhere that this does happen. These look fabulous! Where do you get your jars? I’m a sucker for packaging and they are unusual and wonderful. I’m really enjoying your blog. I’m quite tempted to make the rhubarb (and ginger!) ketchup, but it’s hard to find rhubarb here (Texas) this time of year. I can’t say that I’ve cooked with it before either. Now I’ll be looking for it just so I can try your recipe! Your cordials are quite interesting too. I can’t say that we really do much of that in Texas, so it fascinates me to see something different. I’ll be passing the idea along to my husband as he loves to mix drinks (our cordials usually involve liquor) and try new things. I wonder if I can find angelica here? I bet my husband can find a place to sell us seeds!